Whether you are a new mom or even a seasoned pro, I know how difficult it can be to choose the right bath products for your precious baby. There are so many different baby brands and each one claims to be the best for your baby’s skin. It’s important to make the right decision, especially when it comes to your baby’s delicate skin. 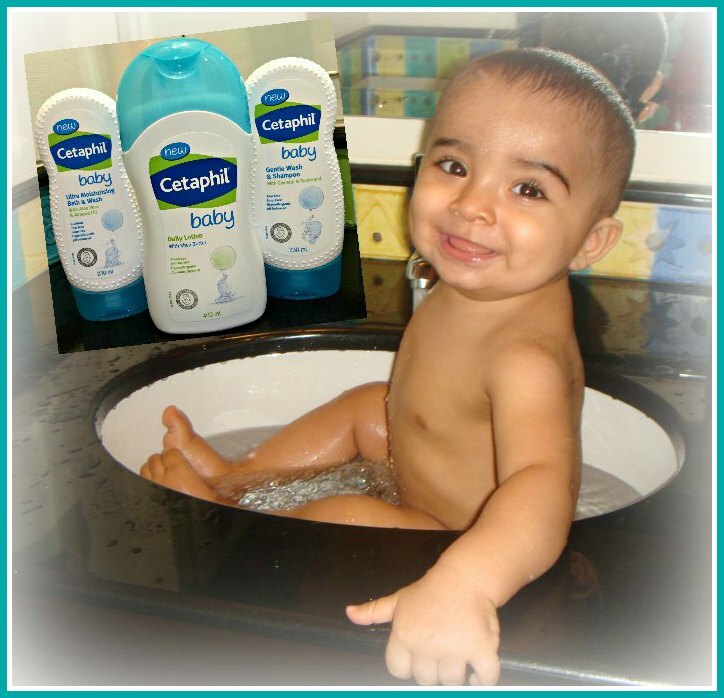 Recently Cetaphil Baby asked me to review some of their baby skincare products. I was happy to do it since I have personally been a Cetaphil user for many years. 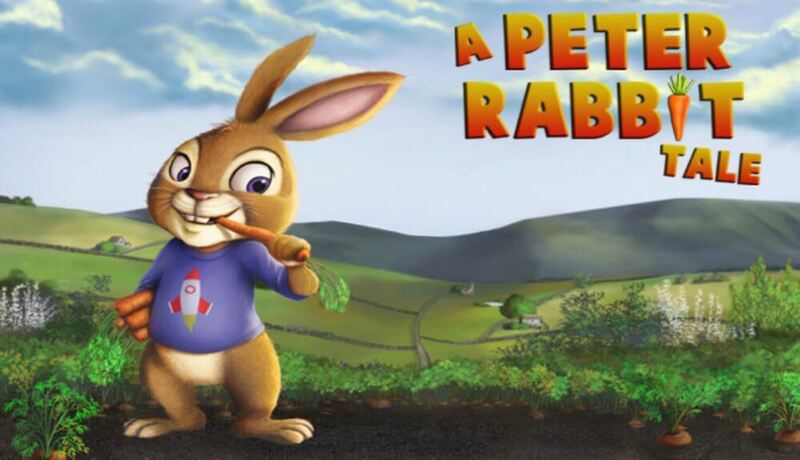 ♥ Dermatologist Tested & Pediatrician Recommended. 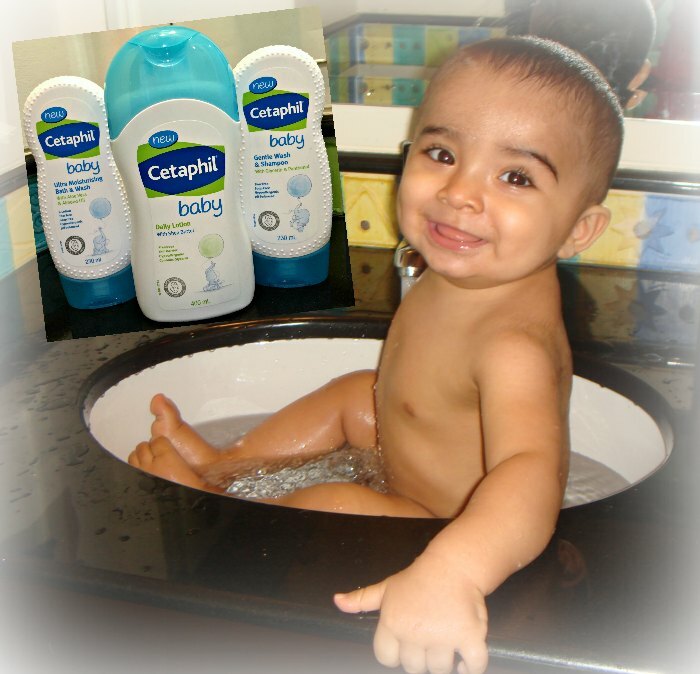 Cetaphil Baby has been tested by dermatologists and recommended by pediatricians. The brand Cetaphil also has a strong dermatological heritage of over 40 years. ♥ Uses Organic Calendula. Cetaphil Baby uses organic Calendula, derived from the Marigold flower. Calendula is known for it’s healing qualities in helping to soothe & calm sensitive and irritated skin. 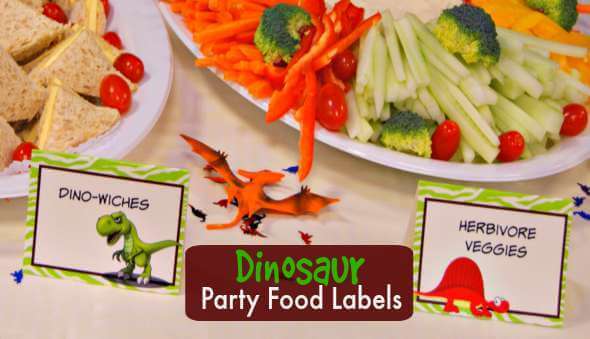 ♥ Carefully Chosen Ingredients. 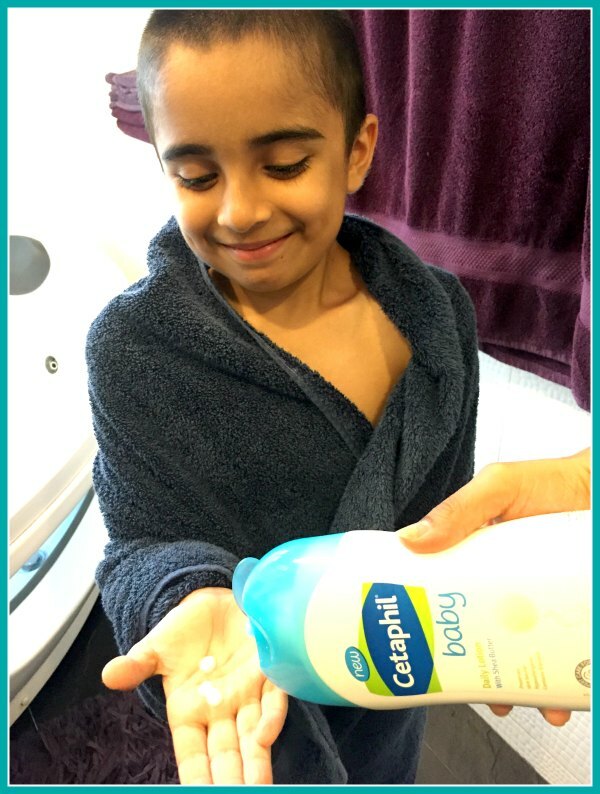 Cetaphil Baby products include carefully picked ingredients such as moisturising almond oil, nourishing shea butter, soothing aloe vera, sweet almond oil and sunflower oil. ♥ Colorant Free. Cetaphil Baby products do not contain any additional dyes or colors. 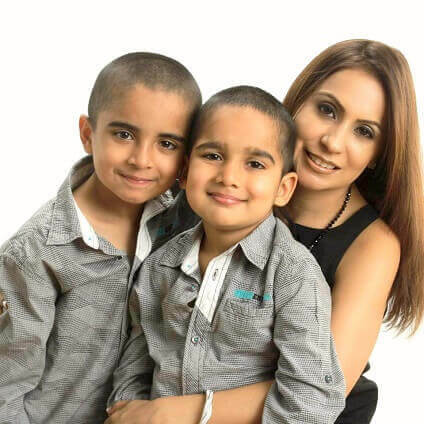 Although I don’t have a little baby anymore, I still feel that normal adult products are too harsh for my boys’ young skin. 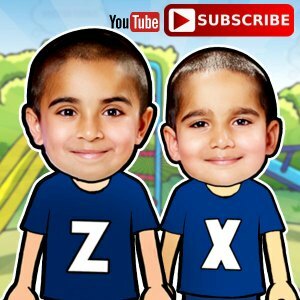 If it is pediatrician approved for babies, then it is definitely good for my boys as well. 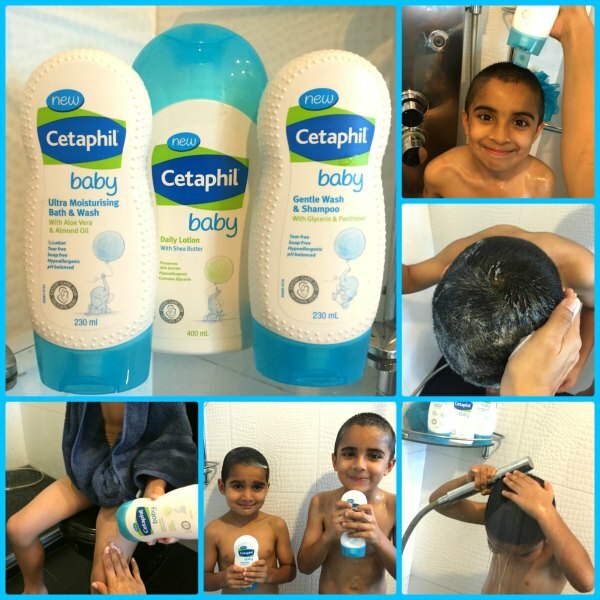 Here are the results after testing the Cetaphil Baby products on my own kids. The Cetaphil Baby Ultra Moisturising Bath & Wash is a pH balanced soap-free formula that contains 1/3 moisturiser with aloe vera. • We liked the fact that the Bath & Wash also contained a moisturiser. After a day of running around in the Singapore sun, extra hydration is a must. • The smell was mild and fresh. 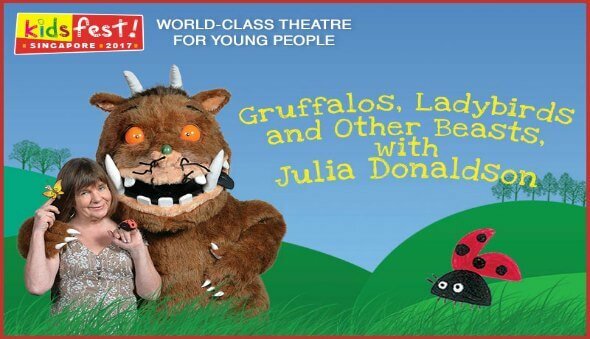 • We didn’t have any tears (or complaints) about stinging eyes. 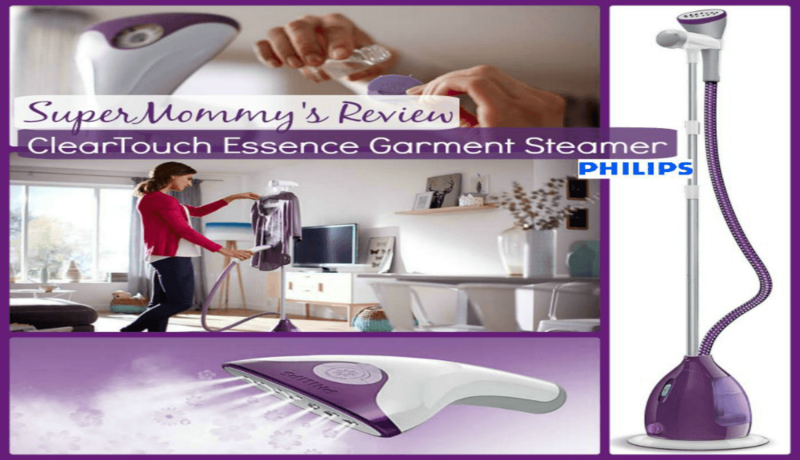 • There was a nice rich lather that helped us know what areas we were cleaning. • Skin felt soft and smooth after our shower. Cetaphil Baby Daily Lotion blends glycerin and shea butter to moisturise and protect baby’s delicate skin. • We liked that the lotion was gentle and very lightweight. A little went a long way. • Skin felt moisturized (no more dry patches or scaly knees). 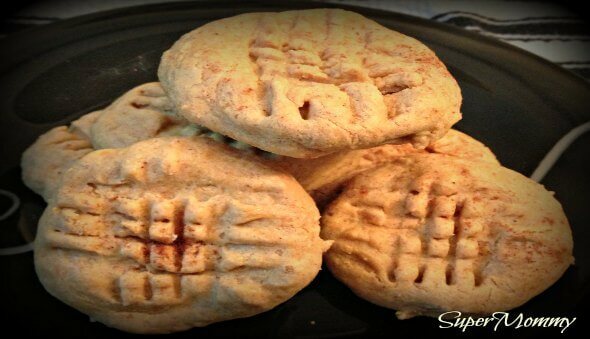 • Not sticky and didn’t leave a residue. • Easy to hold bottle for both the boys and myself. Use the right products. Make sure to use specially formulated baby products that are tear free and as gentle as possible. Check water temperature. Water temperature should be warm, not hot. The ideal temperature is between 37° and 38° Celsius. Turn the water off. 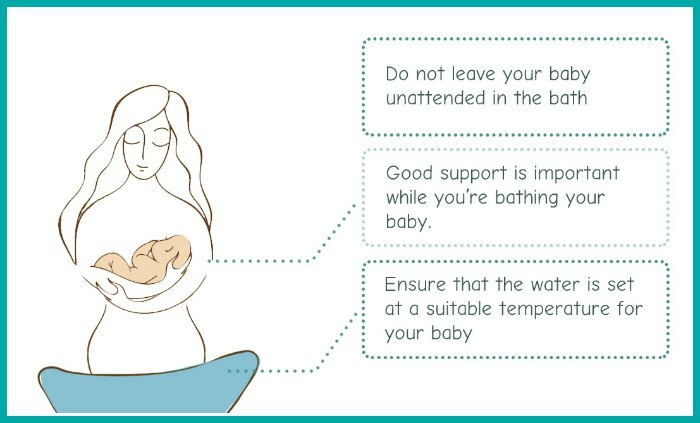 Do not put baby in the bath until you turn the water off. Water temperature can change or water can get too high. Also, make sure you mix the bath water well to avoid scalding and hot spots in the bath. Never leave baby unattended. Make sure to have one hand on your infant at all times while giving a bath. Babies can drown in less than an inch of water. Clean the hard to reach places. Don’t forget to clean gently behind the ears, inside the belly button and in between toes & fingers. Hydrate. Immediately after a bath, many experts recommend hydrating your baby’s skin with a baby lotion or moisturiser. Keep the room warm. Babies lose body heat fast, so after the bath make sure you use a hooded towel and keep the room warm. In Singapore, you should turn off the air conditioner and/or fan prior to the bath so that the room is at a cozy temperature when your baby is finished with their bath. Now it’s time to let your clean baby shine in the spotlight! 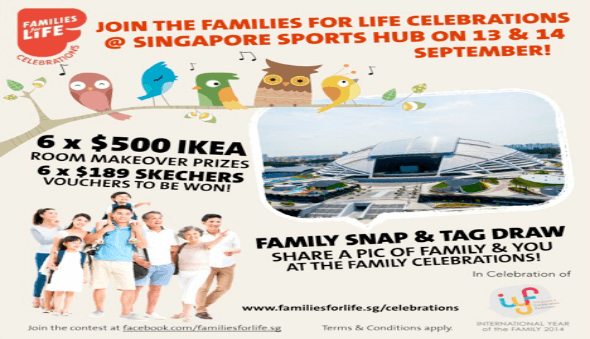 Show Singapore how your baby enjoys their bath time and stand the chance to win a professional photo shoot of your baby! 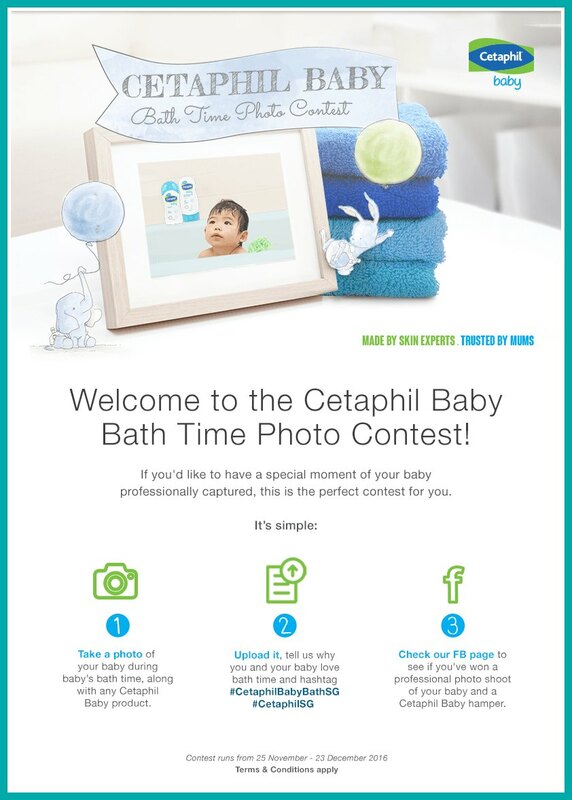 Just take a picture of your baby during bath time with any Cetaphil Baby product and upload it to here. 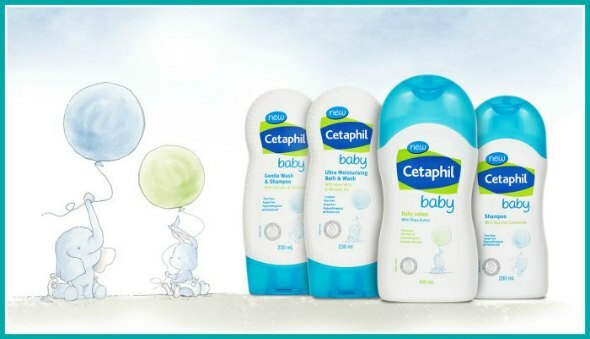 Don’t forget to hashtag – #CetaphilBabyBathSG and #CetaphilSG. 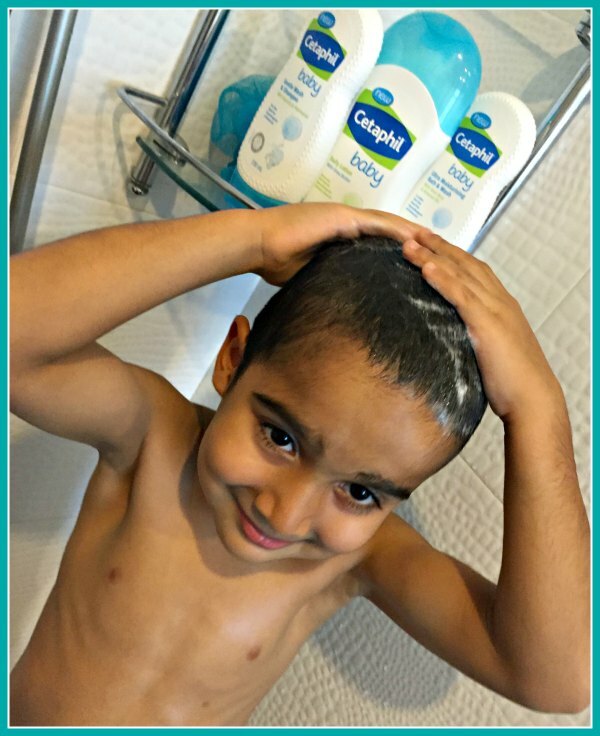 Super Photo Tip: The Cetaphil Baby range features five products for all your baby’s skincare needs – for bath time choose from Cetaphil Baby Ultra Moisturising Bath & Wash, Cetaphil Baby Shampoo or Cetaphil Baby Gentle Wash & Shampoo. Then after bath use the ultra moisturising Cetaphil Baby Daily Lotion for extra moisturizing and Cetaphil Baby Ultra Sensitive Wipes for all day freshness. 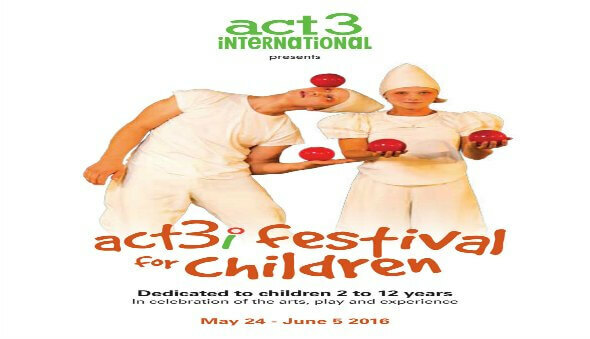 Mommies & Daddies feel free to let your creative juices flow! Good luck! 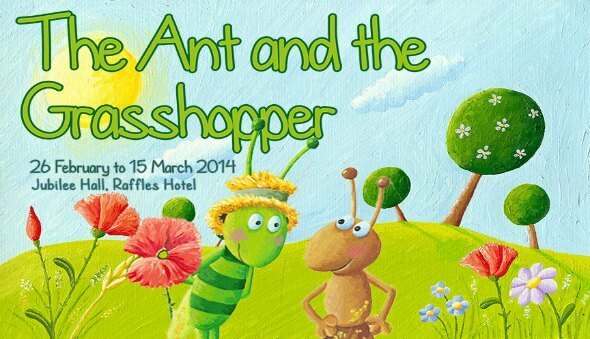 Super Note: This article is brought to you in collaboration with Galderma Singapore.